Authored by William G. DeFoore, Ph.D.
A passive aggressive personality is not something you're born with. It's not genetic, it is a result of certain learning processes that can be undone. If something can be learned, it can be unlearned. One of the causes of passive aggressive behavior is the suppression of regular, direct anger. Every person experiments with anger as a normal part of development. But when anger is punished, ignored or stifled, it moves into the background--but it doesn't go away. It starts coming out sideways, in a passive aggressive pattern. What Is Passive Aggressive Personality? 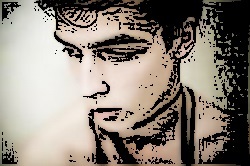 A lot of people think personality traits are a permanent condition that can't be changed. Fortunately, that is not the case. Passive aggressive behavior does not develop in a healthy home or social environment. It results from conditions that stifle and suppress healthy expression of emotions, making it necessary for anger to come out in indirect, less direct ways. A tendency to tease, taunt and playfully ridicule others. Playing a kind of "one-up" game, comparing yourself to others in a way that puts them down. Referring to others is a subtly demeaning manner. Leaving others out of conversations, or generally excluding others from activities they would ordinarily be included in. Snickering, laughing, snorting or rolling your eyes in response to what another person says or does. There are many other forms of passive aggressive behavior, but this covers some of the most common forms. It can become a little more vicious, but then it bleeds over into anger and violence and is no longer passive aggressive--just aggressive. How Do You Fix Passive Aggressive Personality? First, the person with the passive aggressive personality disorder has to want help and be willing to do the work. This can be very challenging, since this pattern always includes denial. I didn't mean anything by that. There's no such thing as being too sensitive. You can definitely overreact to things, but we are all sensitive, whether we admit it or not. You can only fix a passive aggressive personality if it happens to be yours! You can't fix anyone else, period. What If You're The One Who Is Passive Aggressive? Get to the heart of your true feelings. Use journaling processes to explore past trauma, which is always behind anger of any kind--and yes, passive aggressive behavior is anger! Just write the story of your past trauma...it will help. Begin keeping an anger journal. This will help you to be more honest with yourself about how you really feel inside. This is for no one's eyes but yours, so you can let it all out unfiltered. Any time you feel the least bit angry, just write from it until it subsides a little or a lot. Don't stop until it begins to subside. Learn healthy communication skills for conflict resolution. This will help you learn to express all of your emotions in healthy ways, while being totally respectful to the other person. Along with this, it would be helpful for you to learn and practice the empathy skills that are described as part of the above communication process. Having a passive aggressive personality almost always includes lying to yourself about how the other person is feeling about what you're saying and doing. 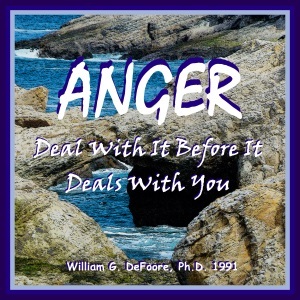 A powerful and effective four-CD program addressing anger management, rage addiction and depression. Learn specific skills for dealing with your anger, overcoming rage, and creating positive, fulfilling relationships. To listen to these previews, click the links below. When you're through listening, just close that window to return to this page. Learn More Or Order Now! And Get A Free Ebook! Should I Marry Him Even Though He's Abusive?